« So this is why Pinterest is Bomb! Hey all! This post is all about how I went from washing my hair twice on wash day to being able to wash my hair once on wash day. I use to have to wash my hair with shampoo twice in one day just to get the clean feeling I was after. It was something I had been doing since child hood and I have recently broken that cycle and here’s why and how. So first lets start with the why. I wanted to lessen the amount of times I was shampooing in one sitting because, I did not want my hair to be completely striped of moisture. Now hear me out. My hair was never ashy or anything extreme. I would always use conditioner as well as moisturizing shampoos at every turn. In the end it boiled down to just wanting to hold on to a little more moisture. The other reason is quite obvious its less work. We all know how long a wash day can drag on. I think we can all agree especially if you plan on pulling out all the stops. I’m not gonna lie to you I do I so do. I’m doing a preepoo, detangling, oiling, deep conditioning ya feel me. Nobody wants an extra step okay girlfriend! 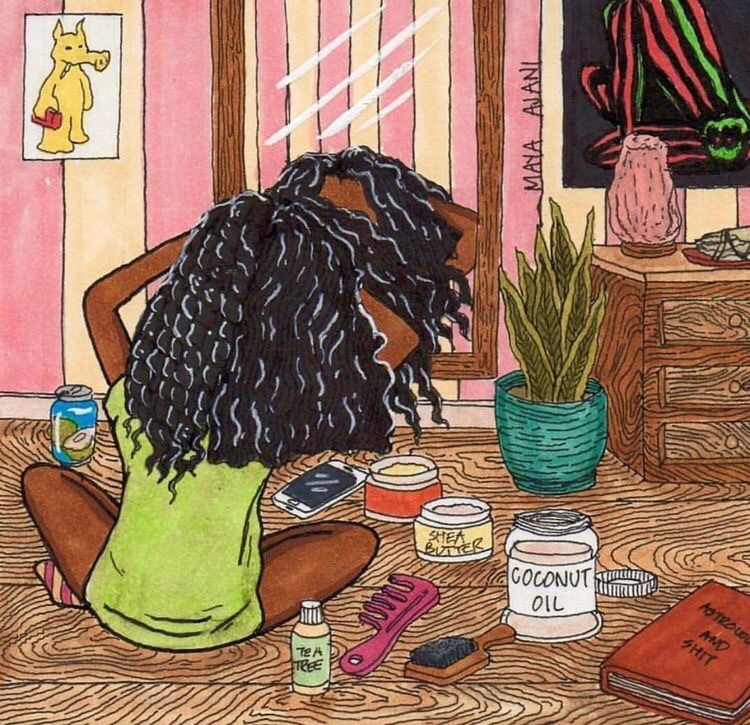 I remember when I was a shampoo girl you guys may remember from my post “my brush with a relaxer” I was taught the same thing wash the clients hair twice. It was put simply your are never going to get the same amount of lather as you do on the second wash. I use to pour on more shampoo at first thinking that was the problem. It wasn’t long before I learned the solution, shampoo twice, and you’ll get the results you’re looking for. The second time around the hair is more saturated with water so the lather turns out better. It seemed like solid reasoning at the time. What I’ve learned later on is that it is possible to get an amazing lather the first time around. If you try what I have been doing you’ll be getting second time around lather on the first wash or at least a close second. Heres how I do it. I get into the shower after applying my pre-poo (coconut oil). I section my hair and as I’m detangling with my fingers first I begin to run water on to my scalp. Not only am I running water on my scalp I also begin to use the balls of my fingers and rub them in a circular motion. Akin to as if I had shampoo on my scalp. By doing this I am wetting my scalp which allows me to have a better lather when I add my shampoo or co-wash. Also by rubbing my scalp in a circular motion I am gently lifting the dirt from my scalp. When I my shampoo my lather is close to if not the same as it would be on a second wash.
Now of course there will be times that you just have to wash your hair twice for whatever the reason. Maybe you skipped wash day for far too long. It may even be that you got something in your hair. All I’m saying is that even if you wash your hair twice with this simple method I’m pretty sure that at the very least you will use less shampoo (especially if you cleanse once a week). Less shampoo leads to having to do less damage control in the end. I hope that this was helpful. Remember, be happy, be curly, be you, and you will never fail! This Post was posted in natural hair, Wash Day Chronicles and tagged #curlyhair, #hydratedhair, #naturalhair, #naturalhaircommunity, #naturalhairrocks, #washday. Bookmark the permalink.